Painting your house your self might seem like a good idea to begin with, but oftentimes you end up regretting it. It’s because you underestimated the amount of work and money that it involves. 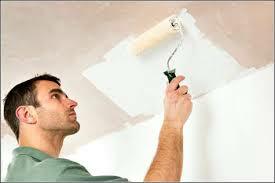 You might want to hire a professional Interior painting Mississauga. To start with you will have to know how to do proper preparation of the area to be painted in itself requires a certain amount of skill and experience in Interior painting Mississauga. You will have to move the furniture either out or into a location that does not interfere with your painting process, you will have to place dropcloth everywhere and plastic or drop cloth over your furniture. You might have to tape off all your trim such as baseboards to keep paint sprinkle and splatter-free And to do all this while still conducting a normal life and going to work. you will want to assess the size of the paint job. If you’re just painting one room in your house that I might be a good idea to do it yourself but if you’re looking to paint the entire house it might be a better idea to hire a professional painting contractor to handle it. You’ll want to hire a professional house painter if you are also considering on painting your ceilings and high areas that require more skill and painting tools such as extension ladders and extension painting poles. house painters will know which paint brand to choose, they will know which one last the longest and have the best finishes. Different paints cover at different rates. Cheaper paints often require more coats to get the job done whereas a premium more expensive paint such as Benjamin Moore paints or Sherwin-Williams paints require less material and less labor and cover better and apply easier. prepping the surfaces that need to be painted tend to be a lot of work if you skip this part of the process your new paint job won’t look as good and won’t last as long. Just for example if there are a number of holes that are plastered over but not sanded down properly there might be lumps and bumps on the wall that aren’t seen prior to painting but when the wall is painted the previous repairs are quite noticeable and look ugly and this is where professional painters preparation comes into play they will know how to send a wall smooth eliminating any repair evidence. most people have been to houses where professional painters weren’t hired and that looked obvious. There might have been paint on the windows, little drips and splatters or overruns. The paint job might’ve simply looked little sloppy not very straight lines at the ceiling and around doors and frames. Hiring house painters who do this day in and day out.This will give you a good paint job with no effort on your behalf. All you have do is pay for it which might be easier in some cases than doing it yourself since your time is also your money.